Chance Browne helps us out! So I am a little slow in posting but it is worth it! 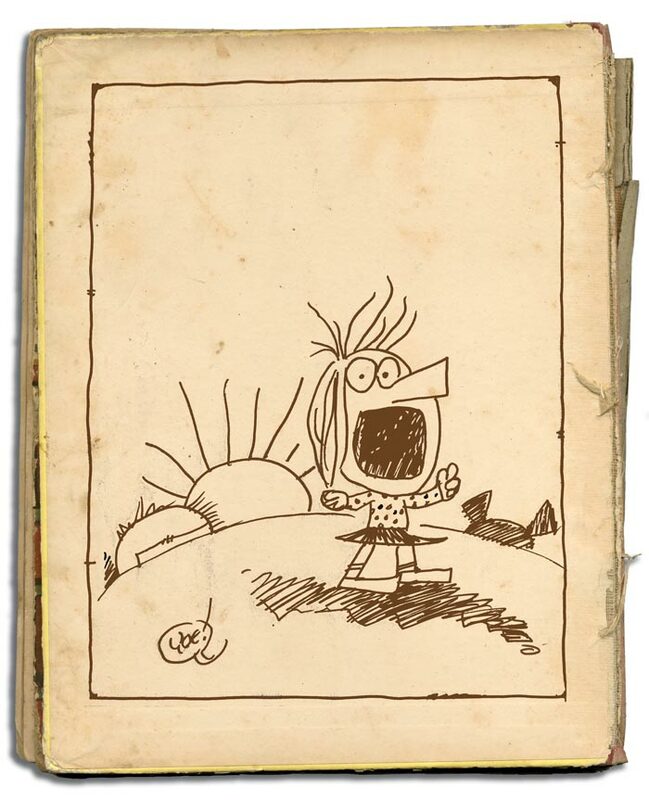 Not only am I a big fan of Hi and Lois that Chance Browne illustrates but his dad, Dik Browne was one of my favorite cartoonist ever! Chance I can never thank you enough for taking the time out to help! This would be a great play group huh? Maybe we can have a longer crossover.. Chance and Richard...What do you think? Hattip to Master Ibid for the link. Today's Washington Post comics section had TCDS strips by Mark Tatulli for Lio and Hilary Price for Rhymes with Orange. Thanks! 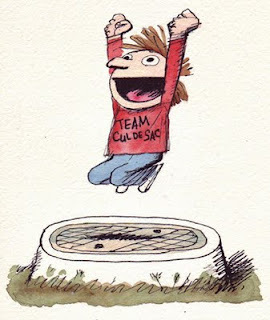 Support Team Cul de Sac! Fanzine and print for sale! Once again, we get blown away by wonderful work for Team Cul de Sac. Stacy Curtis went out of his way for Miss Bliss. Now its official. 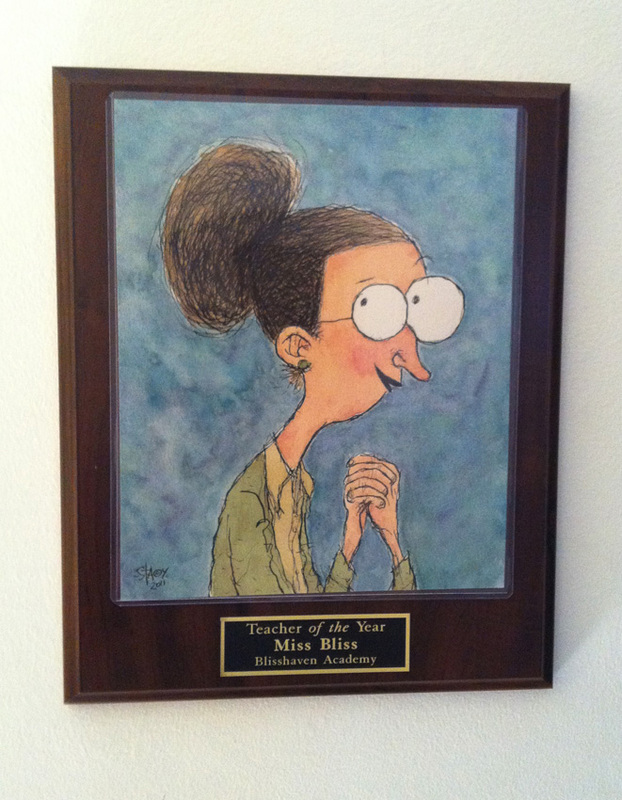 Miss Bliss is the Teacher of the Year. Thank you Stacy for contributing to Team Cul de Sac. We are so lucky to have you on our team! Stacy Curtis has illustrated over 25 books for children, including the "Raymond and Graham" series and "The 7 Habits of Happy Kids," a New York Times Best Seller, written by Sean Covey.Stacy lives in the Chicago area with his wife Jann and dog, Derby. Please check out his sites. His work is amazing! Ok, I finally met Andrew and Shaenon in Boston. They are just the nicest people. They were nice enough to hang out with me. I hope I didn't bore them too much. They have both been so supportive of Team Cul de Sac in so many ways. Thanks Shanenon and Andrew! Andrew Farago is the curator of the Cartoon Art Museum in San Francisco. He has written for Marvel Comics, The Comics Journal, The Comics Reporter and Animation World Network, and is the author of The Looney Tunes Treasury. 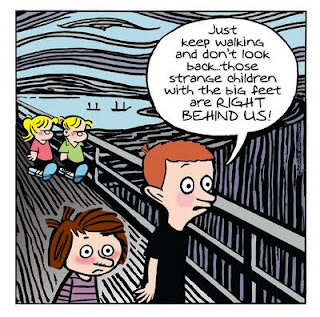 He lives in Berkeley with his wife, cartoonist Shaenon K. Garrity. Shaenon K. Garrity is an award-winning cartoonist and scriptwriter best known for the online comics Narbonic and Skin Horse. She works as a manga editor for Viz Media and teaches at the Academy of Art in San Francisco. Her writing on comics appears in The Comics Journal and Comixology.com. Craig is one of the most entertaining guys in all of comicdom, so for him to do this rare art for us is just a treat. Craig Yoe is the co-creative director of YOE! Studio, which has been called "the premier design studio serving the entertainment industry." Animation magazine hailed Yoe as "Dr. Seuss on acid! "http://www.yoe.com/ Click the link already! http://yoebooks.com/ makes some of the best freaking comic related books ...ever! 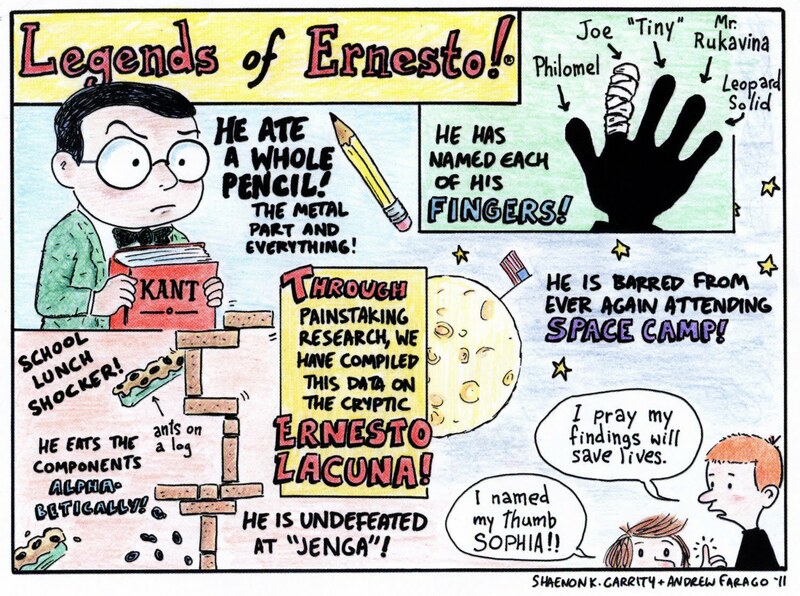 This little Book on Barney Google has one of the coolest intros ever in comics, thanks to Richard Thompson. Craig, I am such a fan of your work, Its an honor to have you on the team! 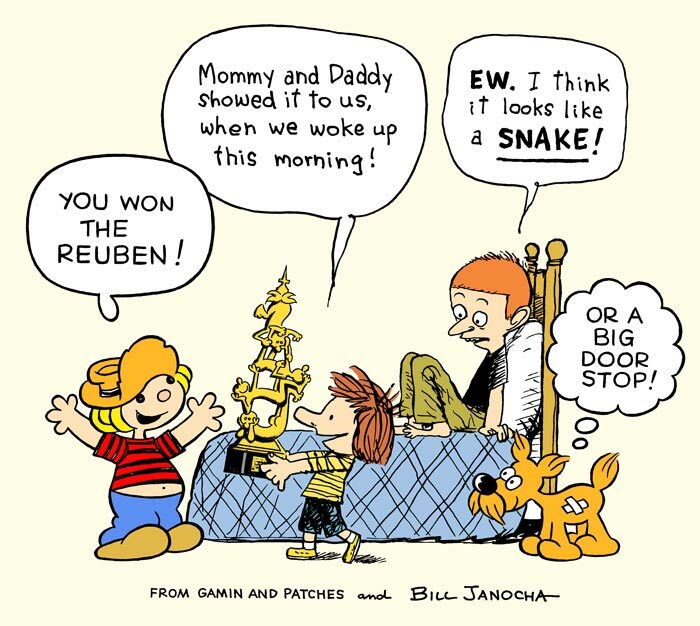 Bill Janocha has been Mort Walkers assistant starting in 1987 GAMIN AND PATCHES was a United Feature comic strip created by Mort Walker and was assisted by Bill. Bill was kind enough to do this wonderful art for us. 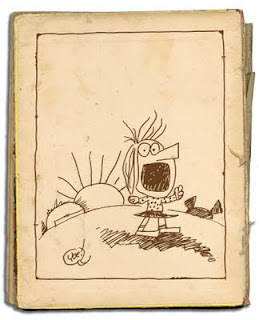 Bill is such a great guy and also a big fan of Cul de Sac. I also might add his son may know more about Cul de Sac than Richard Thompson! I was fortunate to meet Bill at the Reubens in 1997 in my home town of Asheville NC. Now years later we had a chance to hang out in Boston. Bill, thank you for being such a big supporter of Team Cul de Sac and spreading the news. Thompson and other contributors are up for the harvey awards. I am hoping to be there! Folks, I will be updating the blog more this weekend... yes I am behind but as a tease check this out. I think It is a four part crossover! Thanks so much Greg!